By William Burg Photos by Scott Duncan B&W photo-Author’s collection. Like most people who frequent Second Saturday, I was stunned by news of the violence that erupted at the event last month. Victor Hugo Perez Zavala, a 24 year old City College student was killed, and three others were wounded when an altercation escalated into gunfire. Zavala was not involved in the dispute; he, like two of the other victims, was simply in the wrong place at the wrong time. It’s sad that Second Saturday has become that place. The shooting will likely mark a turning point for Second Saturday. There have been calls to drastically curtail the event, calls to move it to daylight hours, and calls to shut it down altogether. On the other side there are those who do not want an isolated incident to destroy what is an undeniably vibrant community event. City officials and the Midtown business community have expressed their commitment to continuing Second Saturday. Memories of the sad end of K Street’s Thursday Night Market loom high and there appears to be a widespread determination not to repeat the failure of leadership that allowed that once-flourishing event to be shut down instead of addressing its problems. It’s hard to find anything positive in something like last month’s shooting, but if the City and the Midtown community can come together to start to solve the problems that have come to plague Second Saturday, then at least some good will have come from this. “It’s time to bring elements of Second Saturday to every Saturday. Street busking, food carts, and vendors need to be an everyday part of central city life, not just once a month at a pre-selected date. It should be regulated and properly managed, but the process should be simple and straightforward. You shouldn’t have to check your calendar to know something interesting is happening downtown. “A higher overall level of weekend activity, say 3000-5000 extra people 8-10 days a month (every weekend day, plus the occasional “school night”), means a greater total economic impact than 15-20,000 extra people once a month. But because they aren’t all there at the same time, traffic is less, parking impact is reduced, and pedestrian levels are less likely to reach the point where a crowd starts acting like a mob. Bill’s comment about Second Saturday outgrowing its britches touches on an issue that is a sore subject for many – that Second Saturday has almost nothing to do with art any more. The truth is that it hasn’t for a long time. Over two years ago we ran a cover story asking “Where’s the Art in Second Saturday?” – art was largely peripheral even then. The more important question is: does that matter? Second Saturday started as an event for the art community but has grown into an event for the community at large. That event has been wildly successful for Midtown – and for Sacramento – and, until last month, had an incredible track record. Though the shooting was surely unrelated to the Art Walk, it was probably related to Second Saturday, the event, Councilman Cohn’s protestations to the contrary notwithstanding. Since we don’t know exactly what brought the shooter to the corner of 18th and J that night, it’s hard to say for certain. But, odds are that he came for the same reasons most people come to Second Saturday – to mingle, to cruise, to people watch, to meet friends, to hear music, to flirt, to be part of the crowd, to party. Unfortunately, bad people like many of the same things that good people do. The answer then, is complicated – there is no one quick fix like banning DJs from the street corners or getting rid of the jewelry and knick-knack vendors. The person who shot Victor Zavala didn’t come to Midtown for those things any more than he came for the art galleries. The new MidMo will be out this weekend- here’s a peek at the cover, featuring model (and MM ad sales expert!) Brigette Black in a victorian dress courtesy of Cheap Thrills. That cool vintage bike is courtesy of College Cyclery. Photo is by our own Scott Duncan! 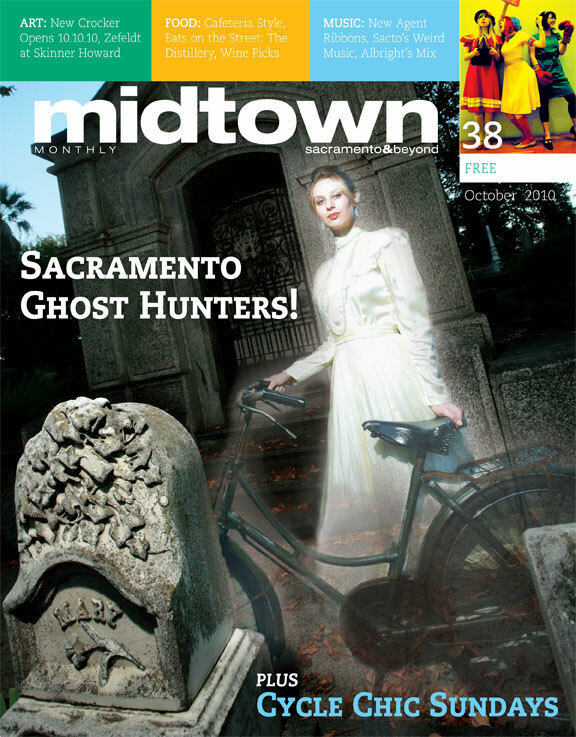 Great stories this issue: Sacramento Ghost Hunters, Sac Cycle Chic, a look at artist Mathew Zefeldt, interview with Agent Ribbons’ Natalie Gordon, Becky’s look at cafeteria food, a rundown of weird music from Sacramento, and of course much much more! OK, so I got the time wrong on my last post. 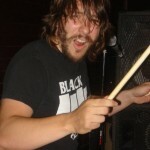 He’s playing tonight at Phono Select at 6:30, not 7:30. If you’re like me, you drove right past Masullo’s the first time you went looking for it. I’d heard about this incredible neapolitan style pizza joint on Riverside from a few friends and I wanted to check it out… since I didn’t have the exact address with me it took me three trips to find! It was worth the extra driving around. Masullo (2711 Riverside) is the closest thing I’ve had to real Italian pizza in Sacramento – other places come close, but Masullo nails it. I’ve been back many times since and I’ve never been disappointed. it doesn’t hurt that Masullo looks great too. I love the elegant MCM-inspired decor, especially the heacy tables that were milled out of neighborhood Maple tree. It also doesn’t hurt that there’s a 2-for-1 pizza coupon in MidMo- it’s only good Mon-Weds, but hey, I like to eat on those days too. The only bad part about Masullo was that it was only open for dinner- until now! i just got notice that they’re opening up for lunch this week. if you haven’t been – go. 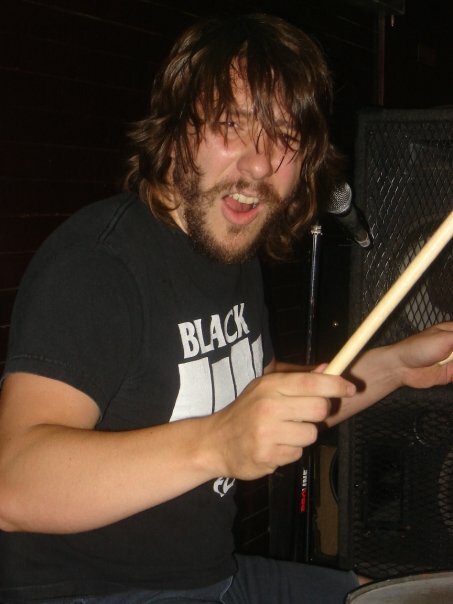 you’ll be stoked you did! 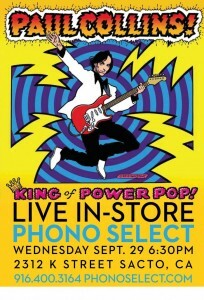 Paul Collins at Phono Select! 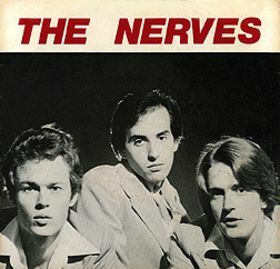 The legendary power pop artist Paul Collins, of the Nerves and Paul Collins Beat, is playing a free set at Phono Select (2312 K street) tomorrow (Wednesday) night. 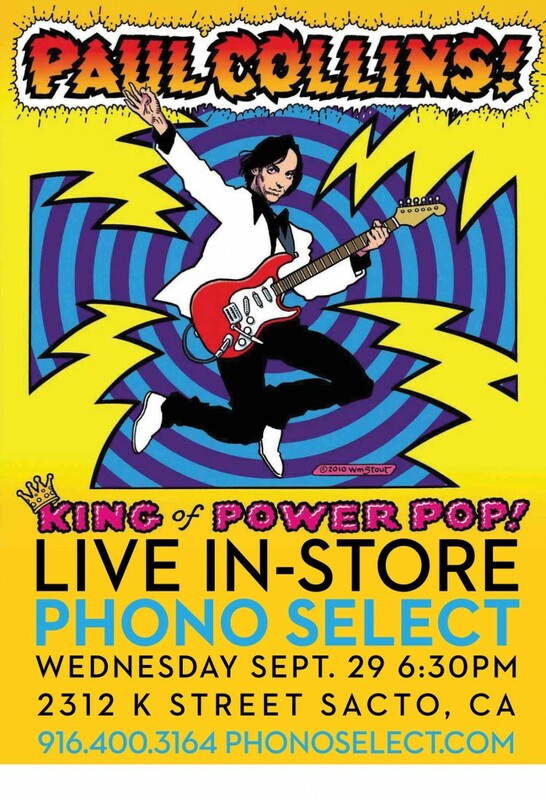 For more information on the newly-opened Phono Select, check the article at right.